Randy Harris is a Registered Professional Forester who has worked for the BC Government since 1976 in 25 different postings for Parks Branch, Forest Service and Ministry of Environment. 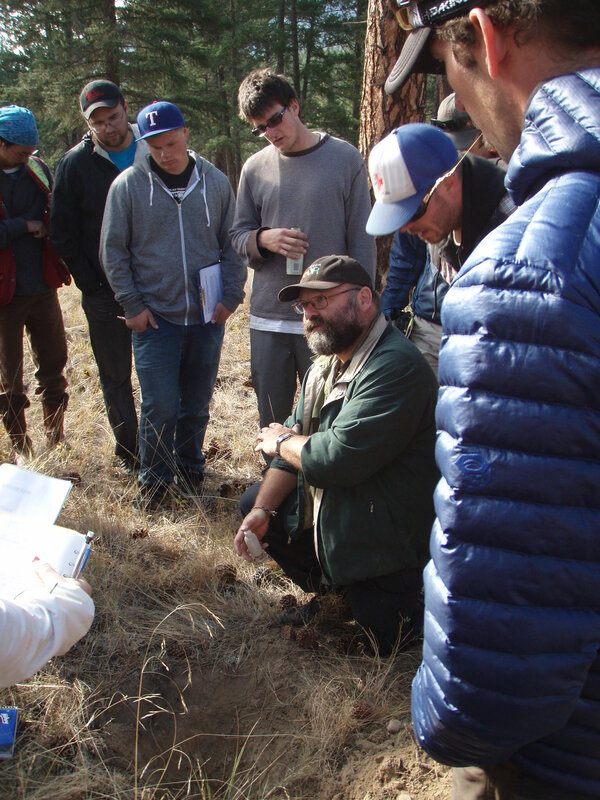 Since 2007 he has been the Team Leader for Ecosystem Restoration for the Rocky Mountain Trench based in the Rocky Mountain Resource District. As he attests, he needs every bit of his past training and experience to do this job! One of Randy’s most recent projects has been the Lewis’s Woodpecker project in the East Kootenay in the Dutch-Findlay Range Unit between Canal Flats and Fairmont Hot Springs. The Spen wildfire that burned 11,000 hectares in 1985 produced ideal habitat for the Lewis’s Woodpecker, particularly in the vicinity of Fir Mountain overlooking Canal Flats. Up to 25 nesting snags have been identified there, prompting the Ministry of Environment to protect this significant population by designating certain critical sites as wildlife habitat areas. However, habitat created by the Spen fire 25 years ago is deteriorating. The open forest landscape is filling in with trees and existing nesting snags are falling down. Fortunately, a partnership of conservation landowners and Crown land stewards including the Nature Conservancy of Canada (NCC), Rocky Mountain Trench Ecosystem Restoration Program, The Nature Trust of British Columbia and Thunderhill Ranch, has stepped up to the plate. Working with the Ministries of Environment and Forests and Range, the partners are focusing their efforts on 4,500 hectares and have already developed a long-term plan to restore and maintain the area as Lewis’s woodpecker habitat. This project is a great example of KCP partners working together. BCFS and the Trench Society led the tree thinning while MOE, NCC and FWCP led the wildlife tree creation. They have since carried out the first prescribed burn on 540 hectares and have 120 hectares planned for burning in 2015 (joint NCC and crown). It incorporated a landscape level plan that won our Trench ER program the first ever outstanding program award by the Land Trust Alliance of BC.